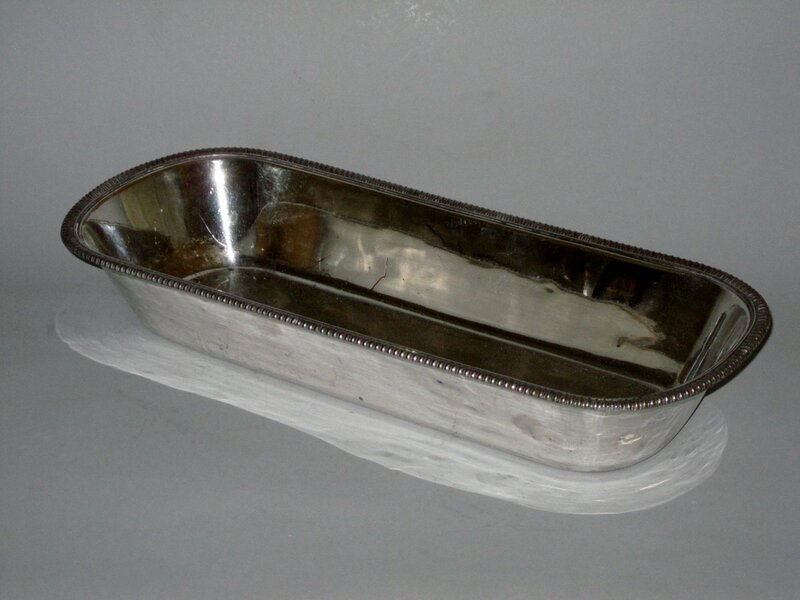 AN OLD SHEFFIELD PLATE KNIFE TRAY, GEORGE III CIRCA 1810. Of plain rounded oblong form with gradual tapering sides. Having a gadrooned border to the rim.